Dele Alli’s remarkable growth has continued to take a positive journey for both Tottenham Hotspur and England, as the 21-year-old became the youngest Spurs player to reach the 30-goal landmark so soon in his career. The versatile midfielder was a bright figure for Spurs in their 1-1 draw against Burnley, after he scored the opener for his side at the start of the 2nd half. Although Spurs’ woes continue at Wembley, manager Mauricio Pochettino will be pleased with Alli’s impressive start to the season that has seen him score 2 goals in 3 matches in the Premier League. The former MK Dons player has entered his 3rd year at Spurs, and has gone on to bag 30 league goals, that sees him enter an exclusive club of players who achieved the feat before turning 22. Those in the list include the likes of Robbie Fowler, Wayne Rooney, and Cristiano Ronaldo, to name a few. 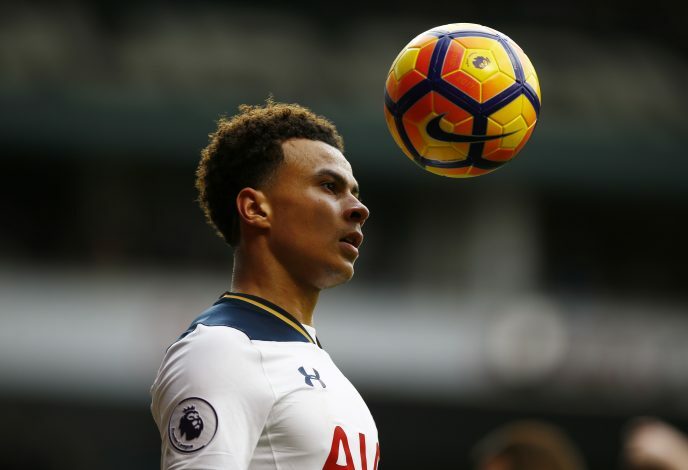 Alli is touted to become a world class player in the near future, and what impresses most is that he is still very young. The Englishman has hit double figures for Tottenham in the previous two seasons, and this term too, he is expected to do well for the London club. England manager Gareth Southgate went on to state in his recent press conference that Alli has the potential to fill in for the legendary Wayne Rooney, who called it a day for the national team. Despite not being a striker, Alli has the quality to chip in with regular goals, and it’s his versatility that can see him play as a No. 10, a winger, and a central midfielder. The player’s ability to create chances is a bonus for Spurs, and before turning 22 next year, he can go on to add to this feat he achieved at Wembley.